“Benjamin” is the lamp in the steampunk style. 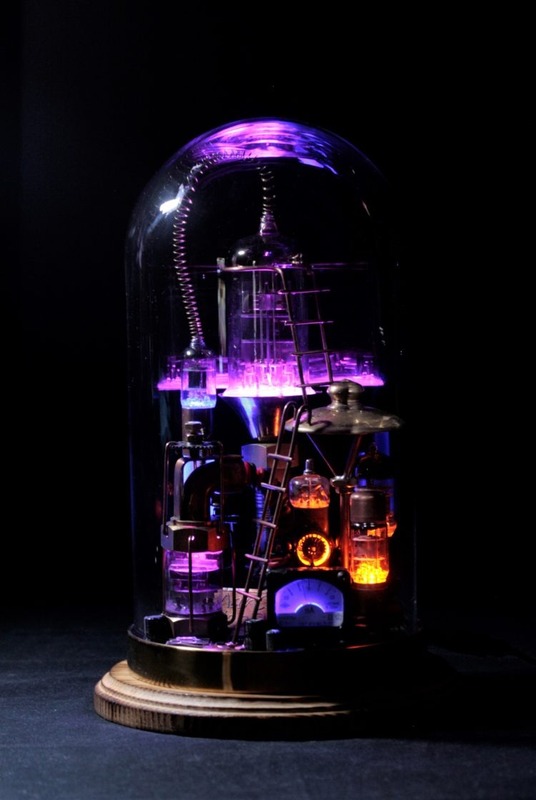 Details from copper and brass, vintage radio tubes lit by LEDs – look like a fairytale city under glass. The lamp is used exclusively decorative lighting 12 volts. We have provided access to all light sources in case of replacement.